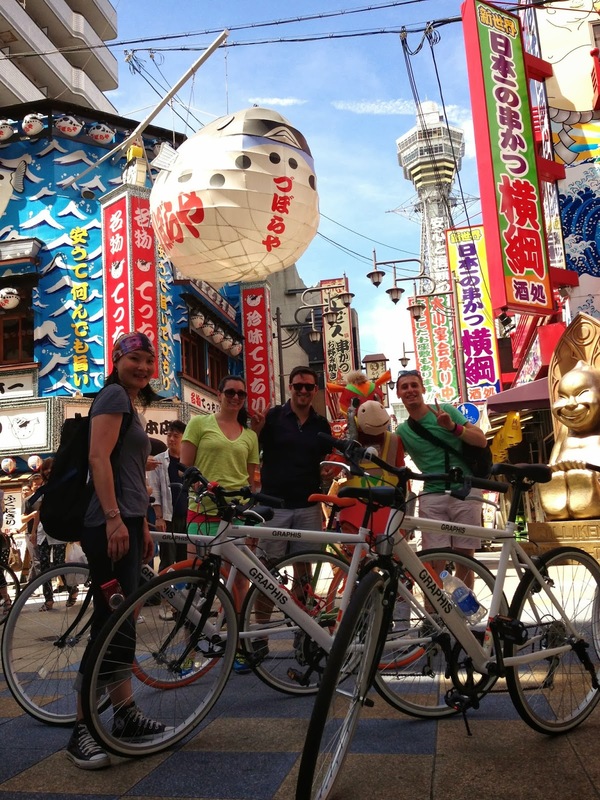 Tokyo, it's better by bike, and so is Osaka, but if you don't know your way around and want to ensure you visit the city's most vibrant and interesting places you'd better book a bicycle tour with Cycle Osaka. Do it. Do it now. 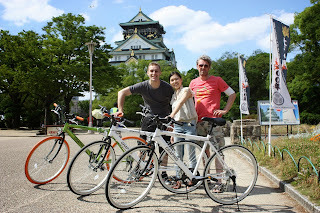 The team at Cycle Osaka love the city of Osaka, they love the freedom of the bicycle and enjoy meeting new and interesting people, so the only thought that struck them when they decided to start organised bicycle tours of Osaka, Japan's most underrated city, was "Why didn't we think of doing it sooner?" Being travelers themselves Cycle Osaka guides have already mapped out the best cafes, temples, parks and photo opportunities through out the city and have prepared three fantastic routes which ensure you'll see more sights of Osaka in a single day of cycling than you could ever reach via public transport. 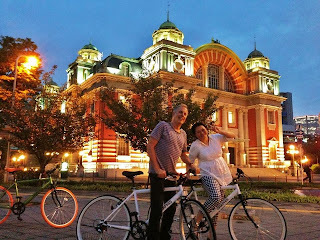 You won't feel railroaded either as tours are flexible and if you're interested in visiting somewhere in particular, with a little notice, Cycle Osaka will do their best to find a bicycle friendly way to get there. The courses on offer include: a full day course starting at 10am (around 6 hours), a half day course starting at 2pm (around 3 hours) and also a 'neon lights' evening course starting at 5pm (around 3 hours). All courses cover the best of Osaka in the time available and give you the best memories and photographs possible. Cycling at a relaxed pace the tours take in such sights as Nakanoshima, an island where the last of Osaka's pre-war buildings remain, the mint where our fine Yen is printed, Shintennoji Temple one of the oldest continuously administered Buddhist temples in Japan, and of course no bicycle tour of Osaka would be complete without a visit to Osaka Castle. Old buildings and historical sights are great, but Osaka is a thriving modern city with sights and sounds you must experience to believe, which is why the tours also take in the bustling districts of Dotonbori and Amerimura popular with young and fashionable shoppers (Osaka's version of Tokyo's trendy Harajuku and Shibuya neighbourhoods). 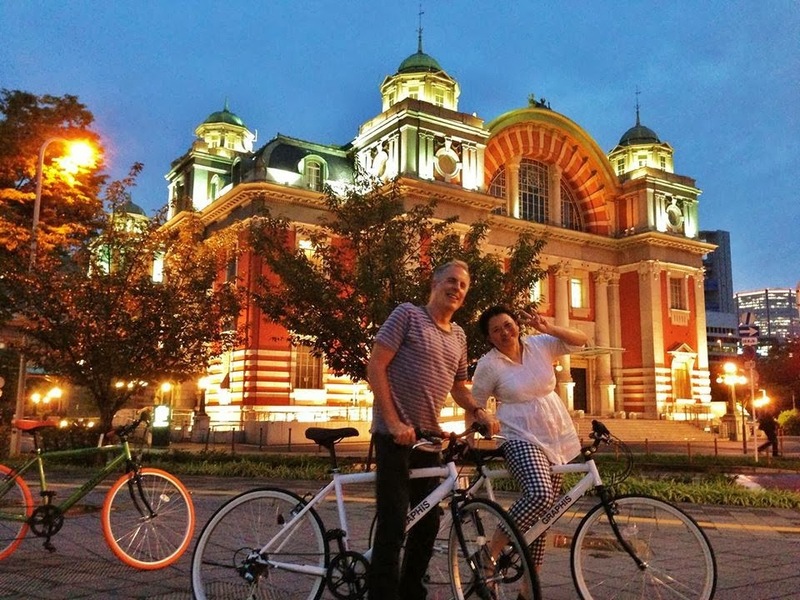 In addition to the planned itinerary Osaka is alive with activity so you never know what you'll discover around the next corner, and its these unexpected discoveries and events that make exploring cities by bicycle so much fun. All courses are reasonably flat and the pace is relaxed making the tour accessible to anyone capable of cycling 25km over a 6 hour period. Tours are open to people of all ages and 6 speed cross bicycles are provided. Lunch is also provided on the day, but the menu is up to you! To secure your place on the tour please make a booking via the Cycle Osaka website at least 2 days in advance. As an additional service, Cycle Osaka can also rent bicycles at a rate of 2000 yen a day (from 10:00-17:00) on days they're not running tours or when bicycles are available. So leave your train maps and hefty guide books at home, grab your camera and let the team at Cycle Osaka prepare you a course which will cram in everything you want to see in a day.